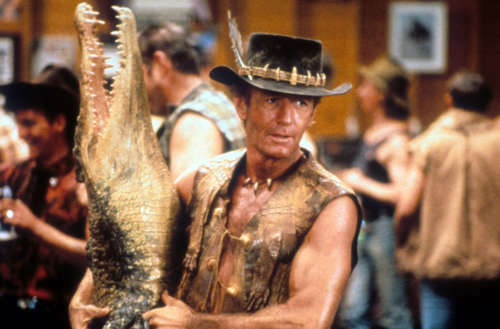 Will the Crocodile Dundee Reboot Keep the Original's Queerphobia? 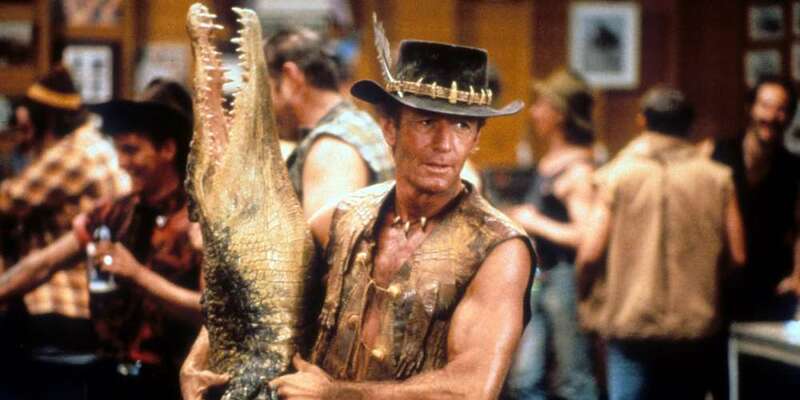 Will the Upcoming ‘Crocodile Dundee’ Reboot Continue the Original’s Homophobia and Transphobia? Two recent trailers have suggested that summertime movie audiences will get a reboot of the Crocodile Dundee franchise, a comedic fish-out-of-water series of films that premiered in 1986 with two less successful sequels in 1988 and 2001. The Crocodile Dundee reboot seems like it will star comedic actor Danny McBride as the son of the titular Australian outdoorsman from the first three films, but writer Luke Buckmaster of The Guardian wonders if the reboot will continue the original series’ sexism, racism and homophobia. The reboot, entitled Dundee: The Son of a Legend Returns Home, reverses the formula with McBride seemingly out of his element in the Australian Outback. In the second film, Dundee convinces a heartbroken man not to jump off a skyscraper, but recoils in disbelief (nearly falling off the building himself) when he discovers that the man’s ex is a man. Buckmaster doesn’t seem to have much faith that the new films will do any better than the originals. Update: just a Super Bowl marketing campaignWe have since learned that the “reboot” is actually for Australian tourism.